It's (going to be) a boy for Kim Kardashian West and Kanye West! Now, before we all start hypothesizing about what unique name they'll choose this time, I should add the disclaimer that the couple isn't actually expecting yet. But the pair has one embryo left, and Kardashian West has always been open about her desire to have a big family. In fact, just two months after giving birth to baby Chicago, the reality star shared that she was already thinking about baby No. 4. Multiple sources close to the couple told US Weekly that Kardashian West and West have one embryo left, and it's male. And she apparently wasn't exaggerating when she said their fourth child will arrive sooner rather than later. According to an insider, the couple plans to have their last embryo implanted in a gestational carrier soon. This will be the second time the couple has used a gestational carrier. After Kardashian West went through two high-risk pregnancies with their oldest children, North and Saint, the couple opted to expand their family using a gestational carrier (not to be mistaken with a surrogate). Kardashian West opened up about the experience on her website in January, explaining that doctors told her it wasn't safe for her or her baby for her to carry on her own. "After exploring many options, Kanye and I decided to use a gestational carrier. 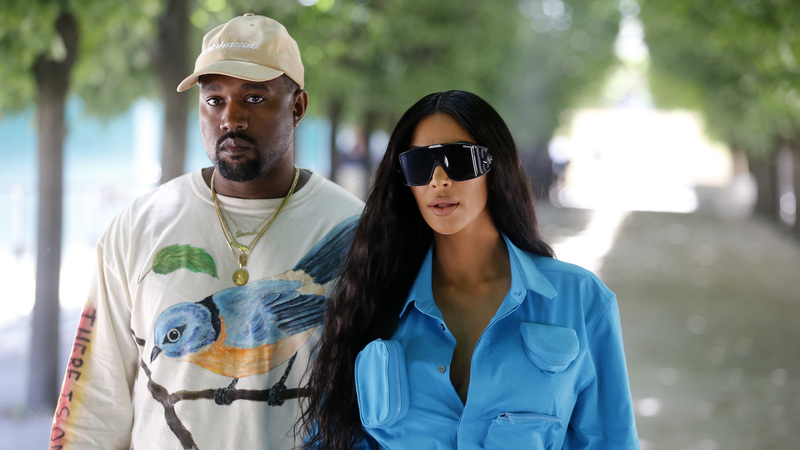 Although I have used the term surrogate in the past, a gestational carrier is actually the technical term for a woman who carries a baby that she has no biological relationship to," Kardashian West wrote. "A traditional surrogate donates her egg, is artificially inseminated with the father’s sperm and then carries the baby to term. Since we implanted my fertilized egg in our gestational carrier, our baby is biologically mine and Kanye’s." It sounds like it'll be a full house sooner rather than later. And baby No. 4 will also have four doting aunts and five cousins to play with. They have their differences, but this is one tight-knit family, and I can't wait to see photos of the newest Kardashian-West baby playing with his cousins.